For a lot of homeowners, spring is the time to open the windows and doors and go without using their HVAC systems. That is only if the weather allows it. However, it doesn’t mean you should completely ignore your HVAC system! In fact, that’s a perfect time to pay attention so it’s ready to go when you need it the most. To get your HVAC system ready for the spring, here are some maintenance tips you may follow. The most simple thing you can do is turn on your system to make sure it’s working correctly, especially the air conditioning as you’ll be moving into the cooling system. Turn the air on for a while and make sure it’s cooling the house. You wouldn’t want to run into a day that’s uncomfortably hot and not have the air conditioning working. Debris, dust, leaves, and other items around the unit may be a potential problem for you in the future when it comes time to consistently use your HVAC. 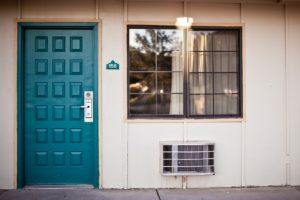 There may be an issue in which your air conditioner isn’t reaching the desired temperature and when it does, it doesn’t maintain the comfort levels. This could mean that something is causing the system to work harder than it needs to. Make sure that the unit has proper refrigerant levels and the opening aren’t restricted. Check the fan motor and blades for wear. Other items that may be checked are the compressor, tubing, control box, and hoses. These are some of the areas where common problems occur so you want to be sure they’re good to go. Dirty ducts and filters not only restrict air flow, but they could also lead to the growth of mold. Make sure you have a proper duct cleaning and replace your older filters. This will allow the cooling air to flow through more smoothly, also preventing increased utility bills from systems working too hard. One of the best things about performing routine maintenance is you get to uncover any problems your unit may have prior to needing it. Nobody wants to run into an issue the moment they need to use their air conditioning or heating. Maintenance allows you to identify problems and get them fixed before any heat waves come in and make it uncomfortable.